Join us for an evening of amazing food, drinks, fun and fundraising as we join forces to support multiple non-profit organizations serving children, families and our community. This event will also proudly and wholeheartedly support #KyleKicksCancer, a cause close and dear to our hearts. Kyle Henricksen is a 35 year old Pleasanton Police Officer who was recently diagnosed with stage 4 pancreatic cancer. Kyle is married with four beautiful children and we are standing in support of the entire Henricksen family. A portion of the proceeds from this event will go directly to helping ease the financial burden Kyle and his family are facing so they can focus solely on getting him healthy. ******Be a VIP!! ******* We have 10 VIP tables available. These tables of 8 include…4 bottles of wine for the table, upgraded table settings and personal servers for your dining pleasure. 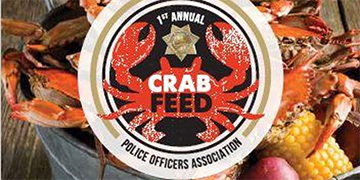 Funds raised from this event will benefit Calico Center, an organization that fights for justice and healing for abused children in Alameda County and The National Law Enforcement Officers Memorial Fund, an organization whose mission is to tell the story of American law enforcement and make it safer for those who serve.